Sonoma County has been a magnet for artists and art connoisseurs for many decades, and continues to attract sophisticated artists and art collectors, along with casual art lovers. Combined with the sheer natural beauty, and general creative ambience, the area readily entices visitors, as well as long-time residents, to explore the many and varied fine art offerings. With the addition of great food, drink, and outdoor activities, it’s easy to spend a day, a week, or a lifetime traversing through the vineyards, forests, and rolling hills, along the scenic coast, and through the welcoming towns of Sonoma County. The following is a partial list of local art exhibitions. Many eateries, wineries, and civic buildings also present changing art shows in their spaces. *** Designates an Opening Reception. *** Saturday April 13, from 11 a.m. to 6 p.m. Free admission. 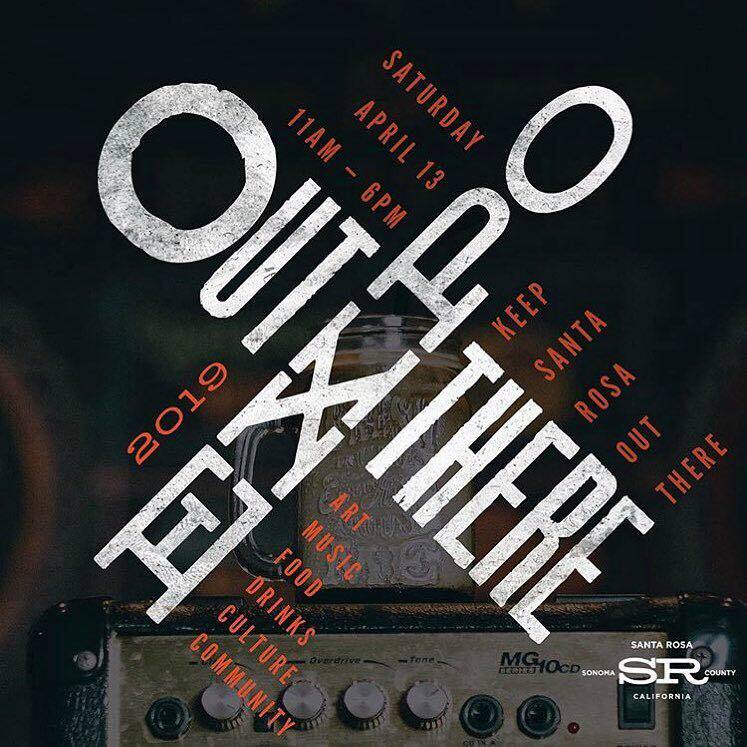 On April 13 the Santa Rosa creative community comes together for the second year to revel in the arts, music, eats and drinks, local crafts, and subcultures that make Santa Rosa so “Out there. In the middle of everything”. Along with an incredible line-up of entertainment you’ll be surrounded by many of SR’s most amazing artists, truckloads of fine foods, and an assortment of your favorite local libations. Check the website for entertainment line-up, and directions. April 3 through April 29, Small But Grand! 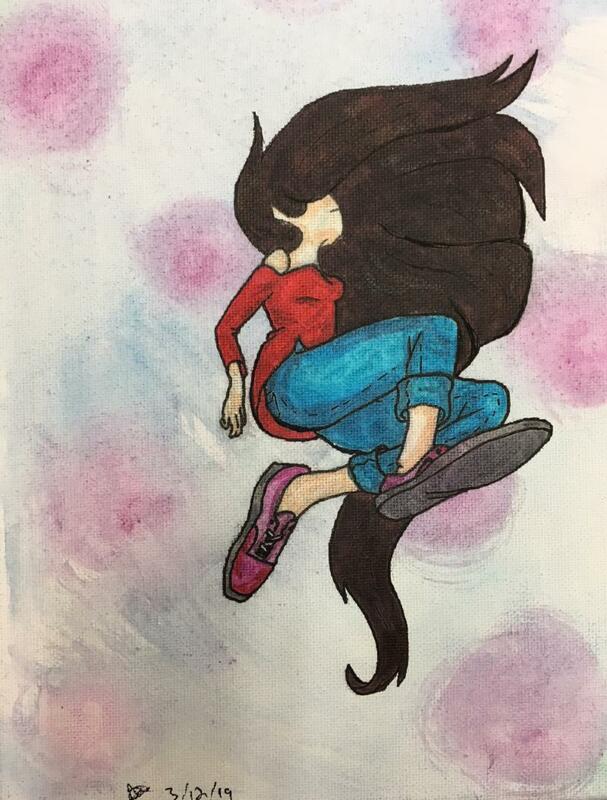 *** Opening Reception Thursday, April 4 from 5:30 to 7:30 p.m.
An Annual Exhibition of Student Art, supported by a grant from the Sonoma Plein Air Foundation. 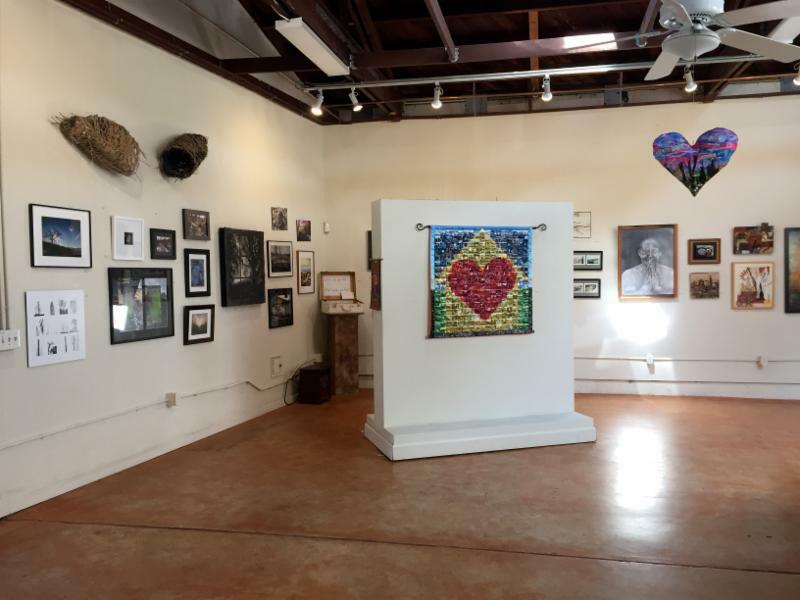 In Conjunction with Valley of Talent at the Sonoma Community Center, on view is work by Sonoma Valley Middle School and High School students. From “Good grief!” to “AAUGH!” Charles M. Schulz developed a lexicon that has become synonymous with the Peanuts comic strip. Yet the cartoonist’s approach to communication went well beyond words. The new exhibition explores Schulz’s pantomime comics and the artful techniques Schulz employed when telling stories using illustration alone. In honor of the 50th anniversary of the 1969 Woodstock festival this summer, the Museum and Research Center presents a yearlong exhibition celebrating the smallest Peanuts character, Woodstock, named for the generation-defining music event. Check the website for related Public Programs. *** Artist Reception Friday, April 5, from 5 to 8 p.m. 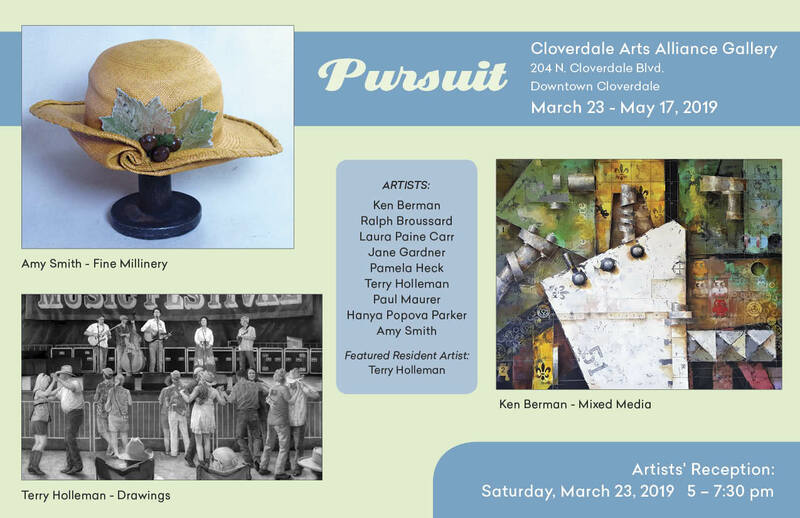 Guest artists for this exhibit are painter Ken Berman, and fine milliner Amy Smith. Resident artists are Ralph Broussard, Laura Paine Carr, Jane Gardner, Pamela Heck, Paul Maurer and Hanya Popova Parker. Featured resident artist is Terry Holleman. *** First Friday reception, April 5, from 5 to 7 p.m. 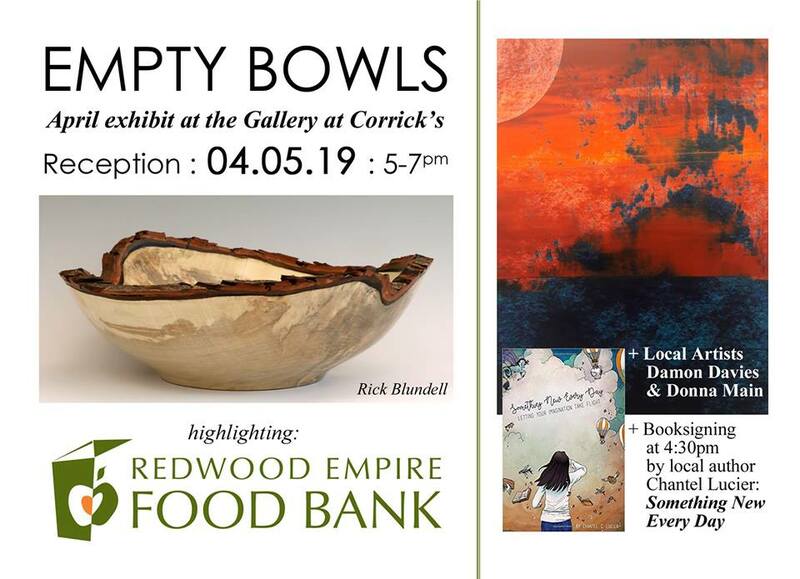 Empty Bowls art exhibit with featured local artists presenting bowls in a variety of media. Highlighting the Redwood Empire Food Bank. Ethereal, by Nature exhibit at My Daughter the Framer, featuring Damon Davies, together with Donna Main. Booksigning by local author Chantel Lucier: Something New Every Day. The Gallery to re-open on April 12, after the Barlow flooding. Come visit. 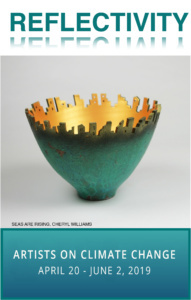 Juried group show featuring works of and on paper, made with scissors, or stone or stoneware. *** Artists Reception Saturday, April 27, from 2 to 5 p.m. 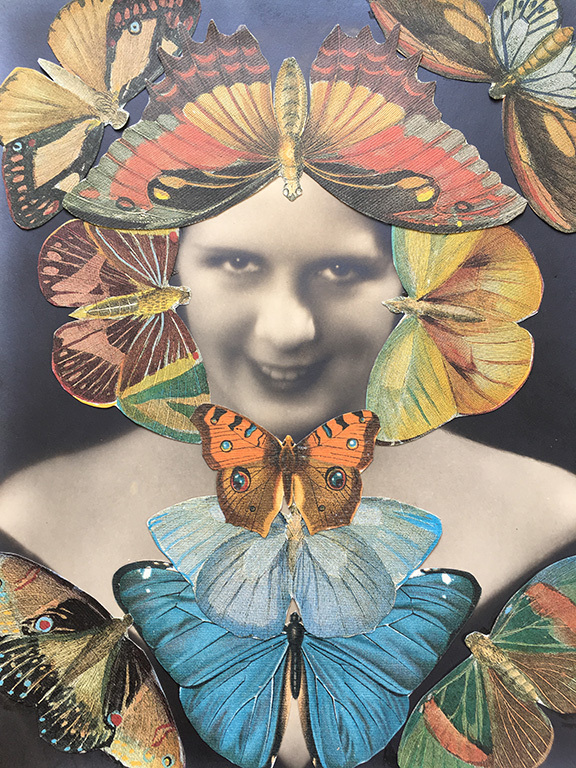 Imaginative Mixed-Media Work by Marylu Downing, Hap Sakwa, and Susandra Spicer. Guest Artists Monica Lee Boutz, Janet Doto, Catarina Martinico, and Lorraine Stribling. *** Closing tea, April 14, 2 to 4 p.m., an opportunity for public and artists alike to discuss animals and art techniques. The word “Animalia” evokes images of all animals; birds, bugs, reptiles, furry friends and pets, fish and fowl. It brings to mind all the wild and wonderful ways that “Animalia” have been an integral and essential part our human experience. *** Opening Reception Saturday, April 20, from 5 to 7 p.m.
Artists reflect on and respond to mankind’s most urgent global issue, Climate Change. Their vision is our looking glass that clarifies this pressing condition with the hope of inspiring solutions. Artworks by Christine Shields and Jude Mooney. 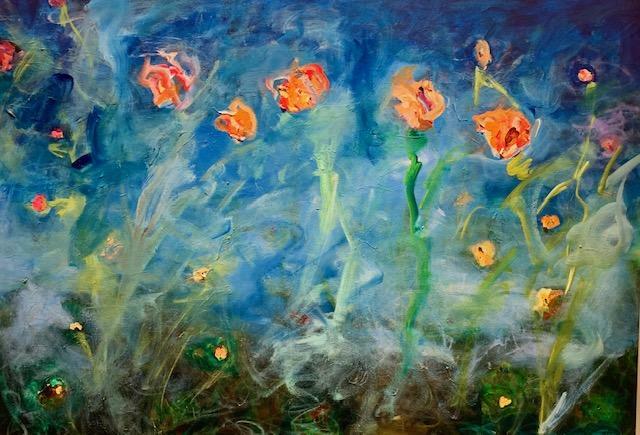 *** Artist Reception Sunday, April 14, from 2 to 5 p.m.
Sonoma County artist, Jill Keller Peters creates artwork that uplifts the human spirit and emanates the vibrancy that she looks for in life. Her carefully selected hues present “an oasis of calm, a serene juxtaposition of color and balance” in her inspired geometric abstractions and impressionist scenes of nature. Mixed-media tapestries by Faith Rumm. These large collaged tapestries are a joyful celebration of the abundance of life and biodiversity found in California. The exhibition considers a common warning announcement often seen at bus depots, train stations and airports. The warning, “See Something, Say Something,” encourages citizens to stay alert and speak up if they notice something amiss. 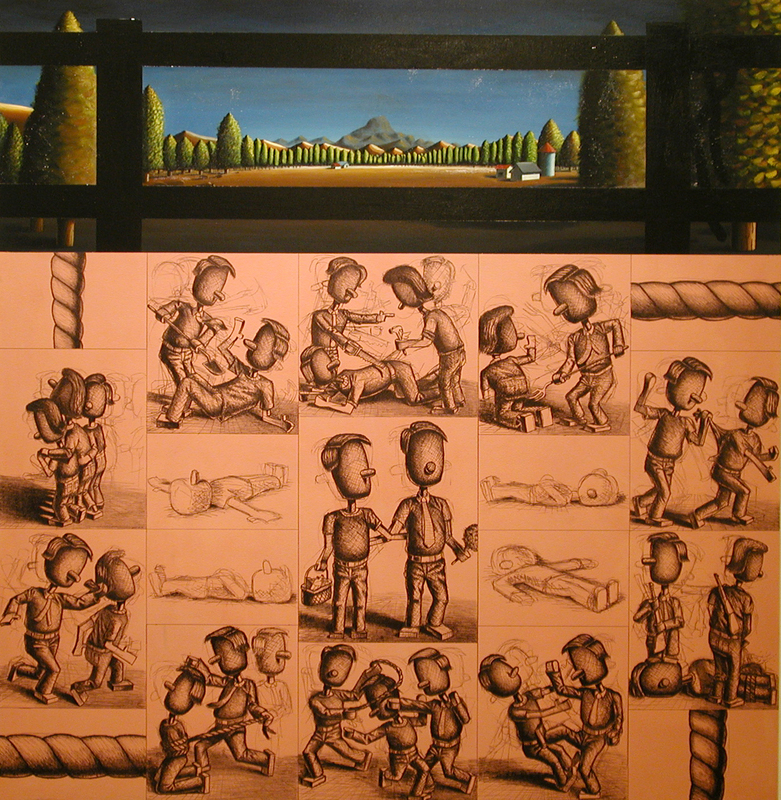 While the phrase originated to convey the threat posed by terrorism after the 9/11 attacks, in this exhibition the meaning of the phrase “see something, say something,” is expanded to encourage individuals to call out additional threats to society, such racism, sexism, economic disparity, and climate change. The three artists in the exhibition; David Huffman, Evri Kwong, and Linda Vallejo, are observant and expressive. Through their work, they identify and name various threats, and approach social issues with intelligence, sincerity, and wit. *** Opening Reception Friday, March 1 from 5 to 7 p.m. Featuring a collection of Ming Chinese porcelain traded across the ocean, art and objects of Oceania, and artifacts related to the Sonoma Coast, the exhibition traces the influences of the Pacific World on the history of Sonoma County and the North Bay Area. Learn how present day Sonoma County became a point of convergence; where the currents carried items of trade and brought immigrants, laborers, temporary visitors, and permanent settlers. 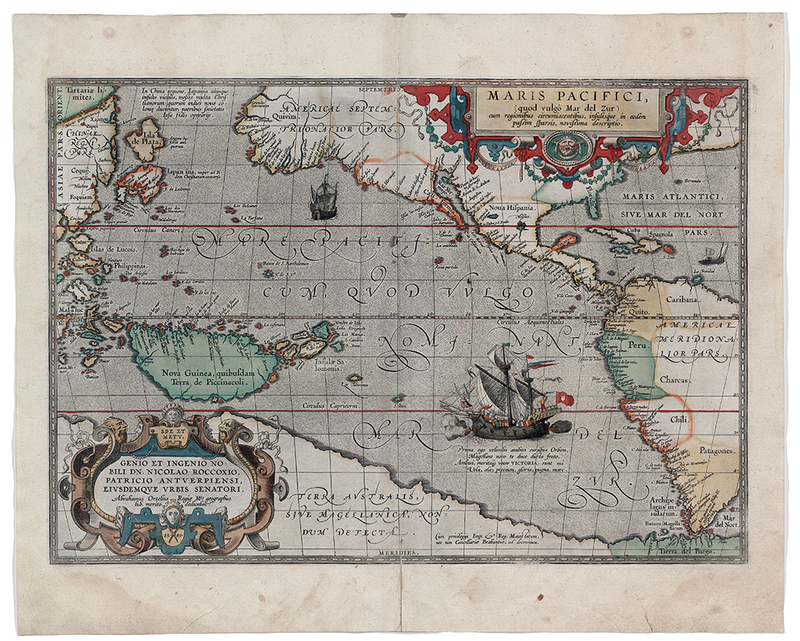 The Pacific World exhibition also features a collection of antique maps of Asia and the Pacific, objects from nineteenth-century shipwrecks, as well as a children’s gallery with an interactive game and ship model. Wilder Mayo Bentley II passed away on October 11, 2018. A true renaissance man, he was talented in multiple art forms. This exhibition will feature a variety of his paintings, printmaking, poetry, stained glass, handmade books, calligraphy and brass jewelry. *** Opening reception Saturday, April 13, from 3 to 6 p.m.
*** Opening Reception Friday, April 26, 6 to 8 p.m. The Photographs of Wynn Bullock. In the mid-1950s, Bullock’s artistry came into the public spotlight when Edward Steichen chose two of his photographs to include in the 1955 The Family of Man exhibition at the Museum of Modern Art. 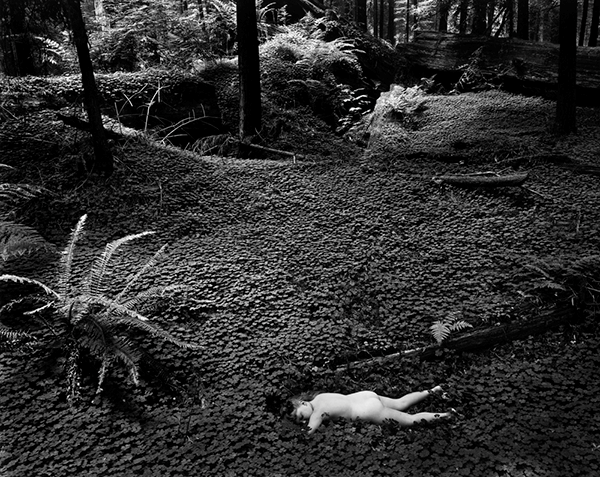 Child in Forest became one of the exhibition’s most memorable images. By the end of that decade, his work was being featured in many exhibitions and publications worldwide. *** Opening reception Saturday, April 13 at 5:30 p.m. 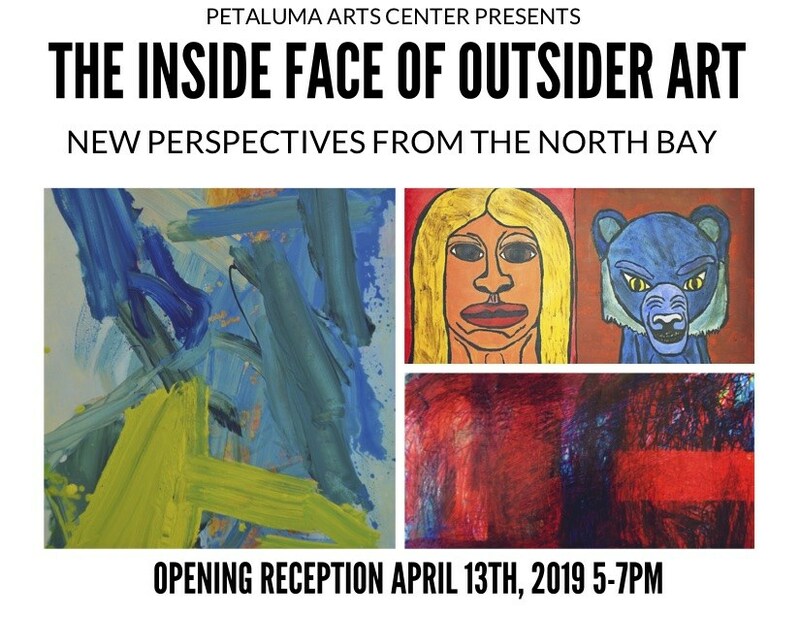 This exhibit features artwork and performances by many of the 100+ clients of Alchemia in Petaluma, Cedars of Marin, and Marin Ventures. These three North Bay studios exclusively represent artists with intellectual and developmental disabilities. These bold artistic voices express a vision of the world in a variety of artistic mediums. 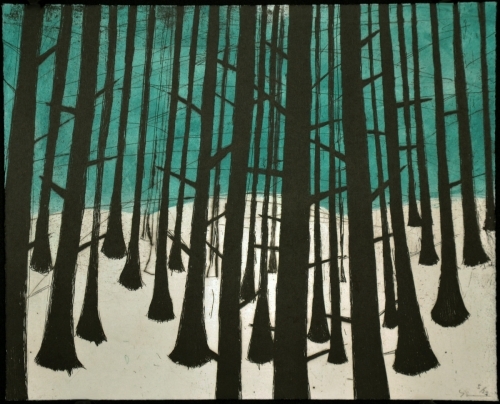 The exhibition features work in various media by thirty different artists—all of which include trees. It is a joyous celebration appropriate for the start of spring, when new leaves beckon us to savor Nature. Housed in a refurbished building with shoji and a small, serene Japanese garden, the gallery shows contemporary art by Japanese and regional Northern California artists. *** Art Walk reception, April 13, from 5 to 8 p.m.
On view: Words & Women by Christine Kierstead; and Wild/Free by Isabelle Truchon, paintings of semi-wild horses that roam in the Camargue region of France. Artists; Holly Downing, Claire Keith, Deborah Kirklin, Stephanie Peek, Gillian Pederson-Krag, and Robert Poplack. *** Opening Reception Friday, April 5, from 6 to 7:30 p.m. Artwork by people of all ages that represents a favorite thing. *** Artist Reception Saturday, April 13, from 4 to 6 p.m.
Painter Lucy Martin Reveals “The Understory” in new paintings that focus on the forest floor. 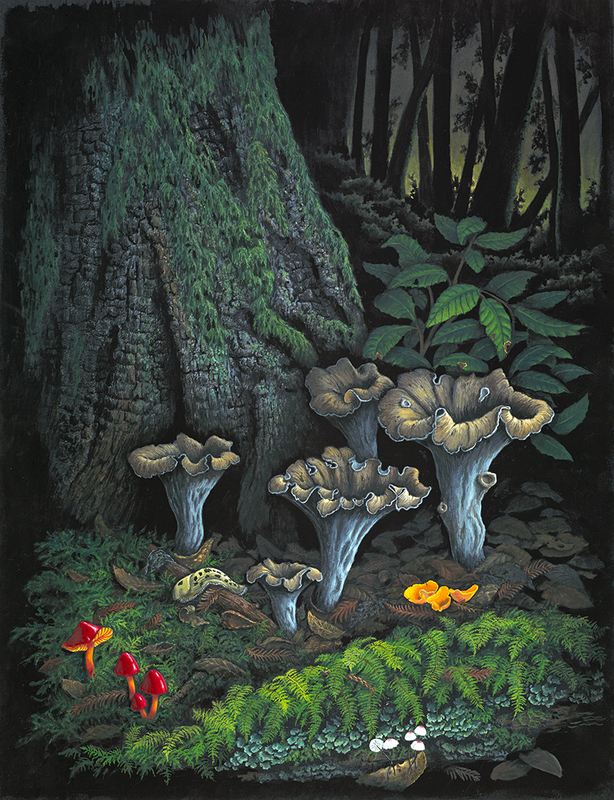 Her gouache and watercolor paintings bring together mushrooms, lichens, and plants in compositions that, though meticulously detailed, also create a sense of mystery. 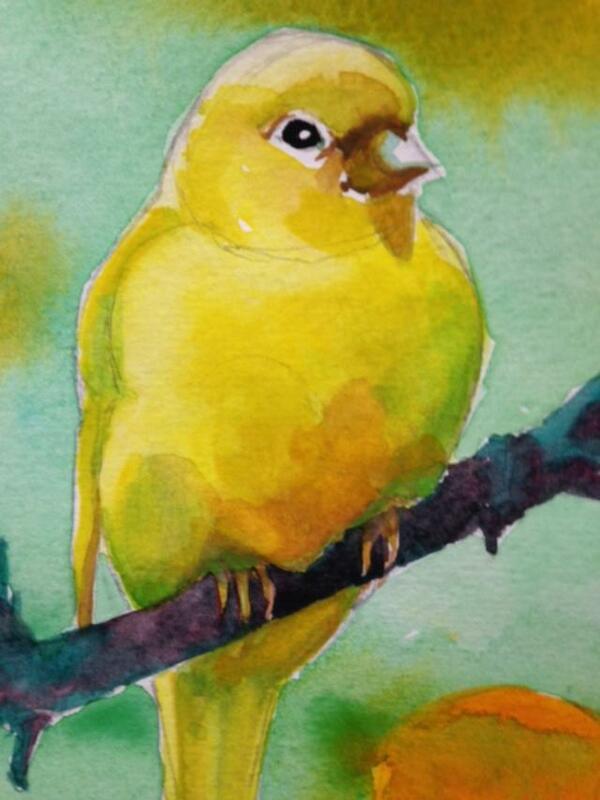 *** A Conversation with the Artist on April 2, from 4:30 to 6 p.m.
An exhibit of watercolor paintings of birds by California native and artist, Bazil Dean. Annual Juried Student Exhibition featuring over 35 works of art selected by two jurors who are from the professional art world. This year the jurors are Susie Kantor, Associate Curator of Visual Arts, Yerba Buena Center for the Arts, San Francisco; and Taravat Talepasand, Department Chair of Painting, San Francisco Art Institute. Richard Shaw and Wanxin Zhang brings the recent work of these two masters of Bay Area clay, focusing on their explorations of the cultural exchange between China and the West. American light artist Phillip K. Smith III, noted for large-scale installations, has installed three Portals in the Museum. Each artwork investigates the relationship between light, form, surface, and perception. Light | Space | Clay: Portals to Creative Explorations showcases work by Sonoma’s fourth and fifth grade students, exploring concepts of form, space, color, and change inspired by SVMA’s current exhibitions. Free Family A.R.T.S. Day; Saturday, April 7. *** Opening Reception Sunday, April 28 from 3 to 5 p.m. 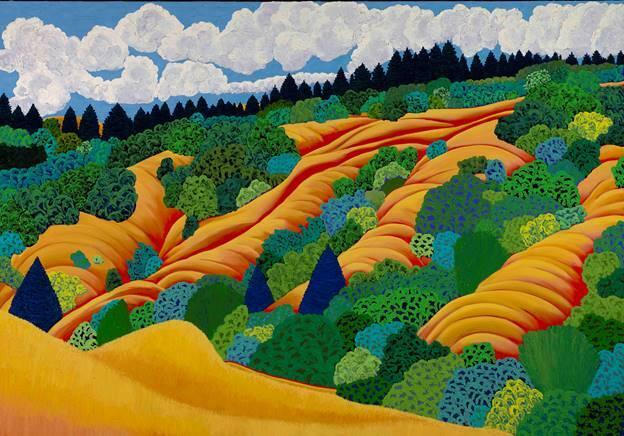 Celebrating the remarkable artistic legacy of Sonoma County, the exhibition features historic, as well as contemporary artists who have lived and worked in Sonoma County. Works by Chester Arnold, Jane Baldwin, Fletcher Benton, David Best, Bernice Bing, Jay DeFeo, Wally Hedrick, Robert Hudson, Marc Katano, Nicole Katano, Mary McChesney, Robert McChesney, Frances McCormack, Bob Nugent, Deborah Oropallo, Hassel Smith, Jack Stuppin, William T. Wiley, Franklin Williams, and Dennis Ziemeinski, among others, are included in this exhibition. Note: The owners of Shige Sushi have decided to permanently close the cotati location in order to concentrate on a new restaurant they’ve opened in Sonoma. 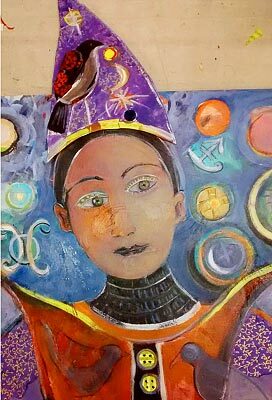 *** Join Colin Monday, April 8, 6 to 9 p.m. for a Final Art Wall Fling. Colin Talcroft Selections from the Museum Shadows Series, abstract photographs by artist Colin Talcroft, an ongoing series of shadow photographs begun in 2012 captured in museums and galleries around the San Francisco Bay Area and Europe. *** Artist Reception Saturday, April 13, from 5 to 8 p.m.
African Adventures is a new series of mixed media collage paintings by Wilson. 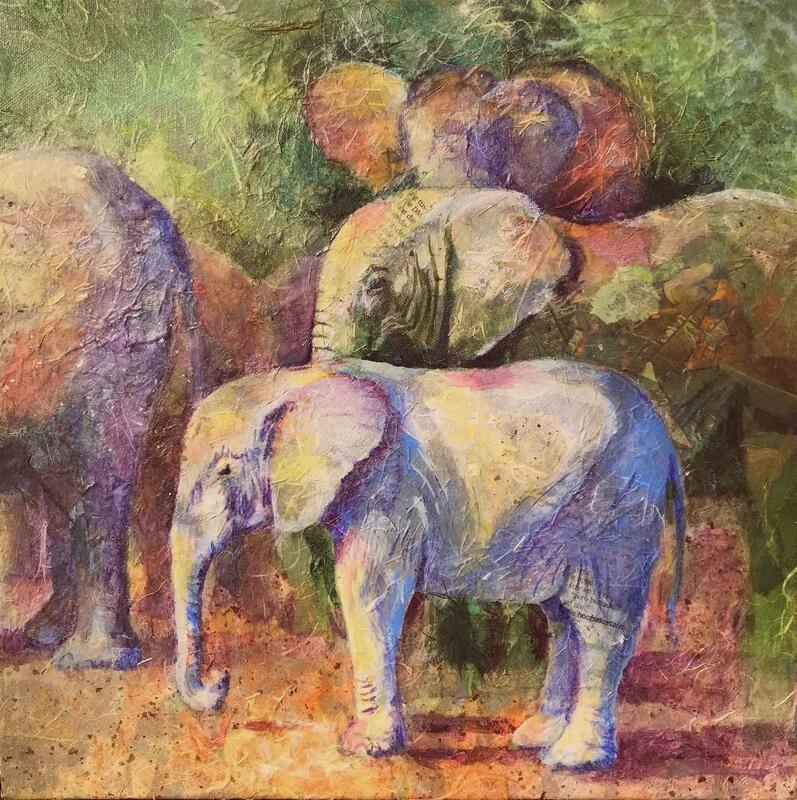 Her paintings highlight her animal encounters, especially with her favorites, the elephants. The Small Works Showcase exhibit features works by Cynthia Jackson-Hein. Jackson-Hein’s oil paintings give the viewer a real feeling of the place, often a barn or beautiful country setting. If you would like to receive these posts in your e-mail each month, please sign up to follow my blog. This post also appears on my Facebook page; Satri’s Best Bets in the Visual Arts. This entry was posted in Art Notes, Best Bets and tagged art in sonoma county, galleries, Jack Stuppin, museums, visual arts. Bookmark the permalink.